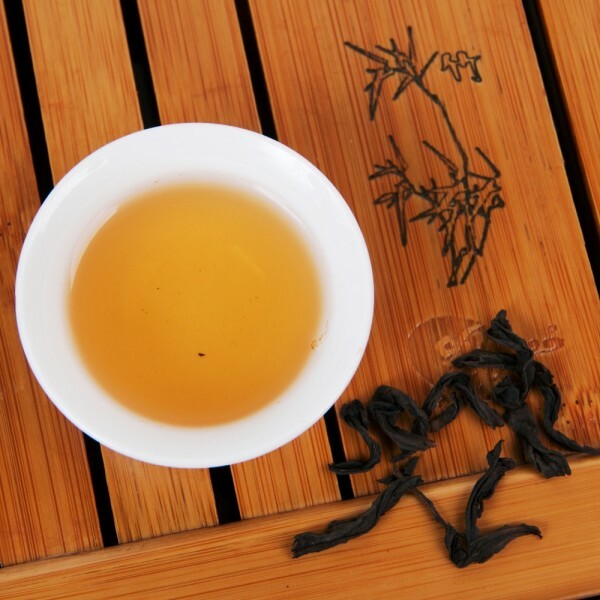 Shui Xian Supreme comes from a cultivar created by cross-breeding offspring of the finest traditional Wuyi cultivars. The result is remarkable – this tea carries the long history and heritage of Wuyi oolongs, which you can taste in its stunning complexity. Being less baked than some other Wuyi oolongs, this tea provides a lively and very enjoyable undertone. This is very special tea, a true gem among Wuyi oolongs. The beautifully long twisted leaves yield flavours of warm cinnamon, it is woody and gently earthy but smooth. As most great teas, the enjoyment is in its subtlety. The medium baking technique leaves a zesty undertone and gently fresh aftertaste. An unforgettable experience in a cup. Da Hong Pao Junior comes from a younger generation of tea plants derived from the original Da Hong Pao trees. Nevertheless, it wonderfully represents the complexity and sweet mineral richness of a Da Hong Pao, yet for a smaller price. Skilful processing brings out the true value of the leaves, grown on slopes of Wuyi Mountains, China. Rich and warming, toasty, notes of cardamom and cinnamon, baked apple. Texture is rich but smooth, long lasting caramel aftertaste. Enjoy the aroma of your cup after drinking the tea. 0 Comments To "Winter time is Wuyi time"